Have a question for Alila Villas Uluwatu? "Highly recommended hotel with nice staff, facilities"
"The breakfast have a wid range of choice, spa does good massage, I had a wonderful wedding there." 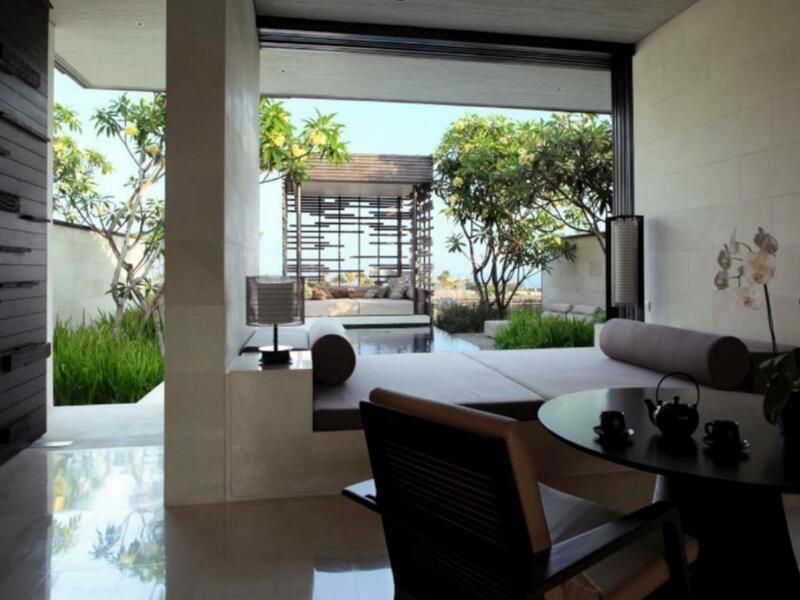 "The butlers are very professional and friendly, always think..."
Alila Villas Uluwatu is a 5-star resort perched on a stunning clifftop plateau along the southern coastline of Bali. The resort is 30 minutes from Ngurah Rai International Airport and 15 minutes from Jimbaran Bay near the Uluwatu Temple. The resort features well-appointed private villas decked out in a contemporary Bali-inspired design. All units have spectacular views and private pools. The resort also has several food and beverage outlets as well as first-class wellness facilities like Spa Alila with 5 treatment villas, a 24-hour gym with a yoga and Pilates studio, a 50-meter swimming pool, Alila Gallery, meeting facilities, wedding venues, and a library. If you’re looking for the most convenient choice in town offering great value for money, look no further than Alila Villas Uluwatu. "Love the ambience in this hotel, all staffs are friendly and..."
The airport transfer is valid for 2 persons only. If guests need airport transfer for more than 2 persons, kindly contact the property directly. Alila leaves you wanting for nothing. The grounds are beautiful, the view breath taking and the staff simply do not miss a beat. We had actually booked elsewhere and after coming here for dinner at Quila we left our other hotel to move here. I highly recommend staying here and we have nothing but thanks to the restaurant manager Nora and all the staff there who made us feel right at home. Even down to the smallest details, such as having our toiletries changed to hers and hers ;). Alila Uluwatu is worth every penny and we will undoubtedly be back. Hi Kadek, Thank you for your recent stay at Alila Villas Uluwatu. We do apologize for the inconvenience, we will take this feedback for our future improvement. Look forward to welcome you again someday in the near future. Stayed here twice - no other villas/ resorts offer a holiday experience and services as marvelous as Alila Uluwatu. An absolute sanctuary especially for couples (e.g. honeymoon). All of the staff displayed an excellent eye for detail and professionalism in making sure we feel comfortable and well taken care of. We have just booked our stay there this Oct, will be visiting Omnia that is now open nextdoor! Dear Vivian C, Once again congratulations on behalf of the entire team at Alia Villas Uluwatu and we are happy to hear you enjoyed the wedding as well as your stay with us. I am sorry to hear that our Indonesian food was not up to your expectation and I will look into this again together with Chef Marc and the rest of the team. We are well known for our Indonesian cuisine at the Warung and while in general most Indonesian dishes with meat are well cooked, they meat should be easily chewable. We hope that this did not mar the Alila Villas Uluwatu experience as we look forward to welcoming you back sometime in the near future. Please be encouraged to contact me in case I can help making arrangements for a return visit. Such a fantastic stay. The level of attention to detail throughout, especially in the rooms is just beyond. Such a beautiful layout creating a purely tranquil feel. Excellent facilities and very kind, helpful staff. 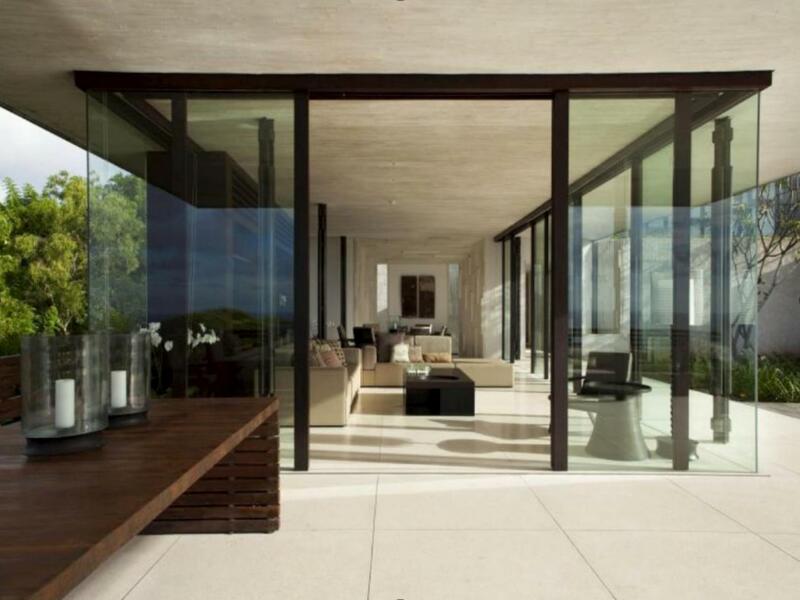 The view is fantastic and heightened by the design features that have been created to compliment the natural beauty. Can't wait to return! We stayed in this beautiful resort for me and my wife's first wedding anniversary. The cliff-side location, attentive and polite staff, and A+ architectural design is truly 7*. Privacy and exclusivity is a plus. The staff went well and beyond for us by organizing a couple of surprises that we didn't even ask for. Kudos to Ayina for surprising us more than once, my wife loved everything! Looking forward to our next stay in Alila Uluwatu. Hi Marjoe, Thank you for your recent stay at Alila Villas Uluwatu. We look forward to welcome you again someday in the near future. Pros- Very serene and tranquil place. One of a kind hotel with the best view of the cliff and indian ocean. I also like the small things they give to their guests like insect repellant spray, tanning oil and face mist. Cons- However, food was not so good at warung. I tried better food outside the hotel and didn't even have to pay half of the price. I also noticed that the hotel is starting to age. Nonetheless, it was still a great experience for me & my husband. Dear Katrina, Thank you for your recent stay at Alila Villas Uluwatu and glad to hear that you have a great stay with us. We look forward to welcome you again someday in the near future. The infinity pool over looking indian ocean, the privacy and comfort in our villa with a big private pool, the friendliness prompt service and knowledge from all the staff, even the general manager greeted us when we arrived. Over all everything have been awesome and fantastic. Thank you for your recent stay at Alila Villas Uluwatu. We look forward to welcome you again someday in the near future. Top of the cliffs at Uluwatu Bali. We decided to stay at Alila as my wife is 5months pregnant and thought this resort would cater to our needs fully. We were not disappointed. 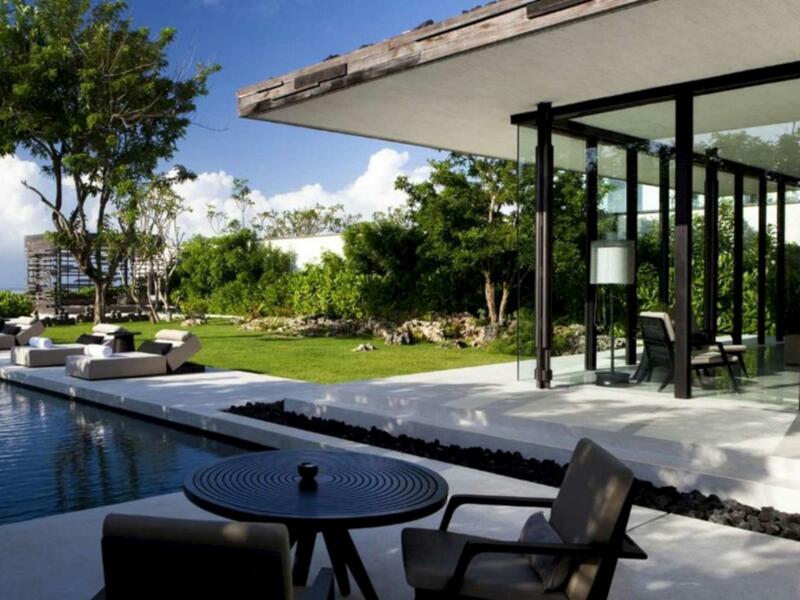 The villas are contemporary with views out to the ocean. Well appointed won all the mod cons and Very private. The staff are Servise orientated. Meaning hey really want to do there very best to make you feel cared for. The food is 5 star and amount the best we ate in Bali. The Wurung especially. I would return and recommend to anyone who is deserving and does not mind paying a little extra for this kind of Servise. Dear Slade, Thank you for your stay and your positive feedback, we look forward to welcome you again someday in the near future at Alila Villas Uluwatu. Thank you for your recent stay at Alila Villas Uluwatu. We look forward to welcome you again sometime in the near future. Neatly laid out with an abundance of greenery and pleasant staff, Alila Villas excels in an ambience of privacy and seclusion. Having said that, there is indeed not much in the way of in house activities although there are a number of excursions offered. Also, being perched at the top of a cliff and set well off the main road, ones' meanderings are limited to the property itself. Otherwise, Alila has the perfect setting to finish that book or spend some 'me' time in absolute solitude with an attentive staff at your beck and call. The food is good with an additional selection for the more healthy options. Indeed the tranquility of this place is worth returning to. Dear Aznan, Thank you for your recent stay at Alila Villas Uluwatu and glad to hear that you have a great stay with us. We look forward to welcome you again someday in the near future. We spent amazing few days there in nov 2017 and it was perfect. Staff is professional and friendly. Location on the top of the cliff is spectacular about its view! But location from other destinations is far - although you don't need anything else when you are in Alila! Food in CIRE restaurant was so very delicious :) Thank you! Would definitely come back to enjoy all the luxury you provide. Thanks for your recent stay and glad to hear that you have amazing stay. We look forward to welcome you again someday in the near future. This was our second stay at this resort and we were as blown away as the first time we stayed there. Everything is perfect about this place. All staff were great and nothing was any trouble at all. We loved the food and I had a couple of massages with Nanny who was phenomenal. The villas are absolutely beautiful and they think of everything down to the smallest detail. I loved the his vs her range and all the other amenities provided. We can’t wait to return. We are in Seminyak now and are really missing Alila Villas Uluwatu. This is the absolute ultimate resort - pure luxury and well worth the $$$$.